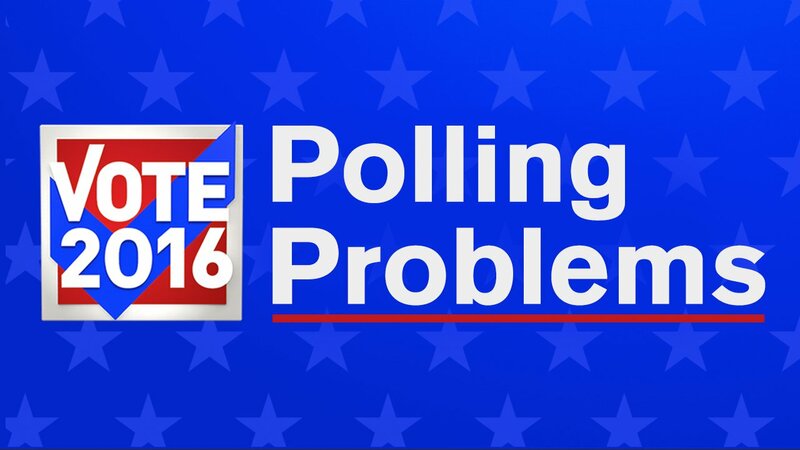 Election 2016: See a problem at your polling place? Issues voting? Tell us! We want to hear about any problems you hear about or come across when you vote on Tuesday. Report them to us using the form below. You can also message us on Facebook or tweet us using the #abc7NY hashtag. You will find additional resources below the form. Have you experienced a polling problem? Please email ABC7NY and Eyewitness News using this form. Voters experiencing problems at the polls Nov. 8 can call a complaint hotline, 800-771-7755, or email civil.rights@ag.ny.gov any time Tuesday between 6 a.m. and 9 p.m.
New Yorkers wanting to contact their local Board of Elections directly, can find contact information here. There is a hotline for reporting election problems, voter intimidation or anything else that interferes with voting Nov. 8. The hotline, (888) 636-6596, will be active Nov. 7 through Nov. 9, and will be staffed in English and in Spanish. Direct complaints or problems with voting to your local Registrar of Voters. The Department of Justice Civil Rights Division staff in Washington also will take complaints related to voting at 1-800-253-3931 toll free or (202) 307-2767 or by TTY at (202) 514-0716. Problems also can be reported by fax at (202) 307-3961, by email to voting.section@usdoj.gov, and by clicking here. GET REAL-TIME ELECTION RESULTS AND ALERTS BY DOWNLOADING OUR EYEWITNESS NEWS APP!